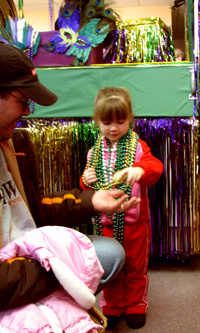 beads and doubloons and happy kids filled the afternoon on Saturday, February 13. Check out the photo gallery, and watch the compilation video below! Joim us next year, y'all. Lassiez les bons temps rouler! Parades. Prizes. Free Food. Free Beads. Live Music. 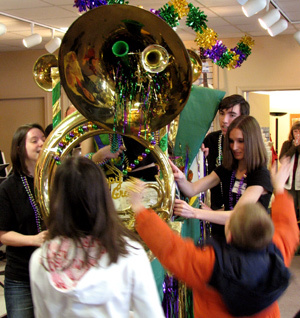 This is how we throw down our Mardi Gras.